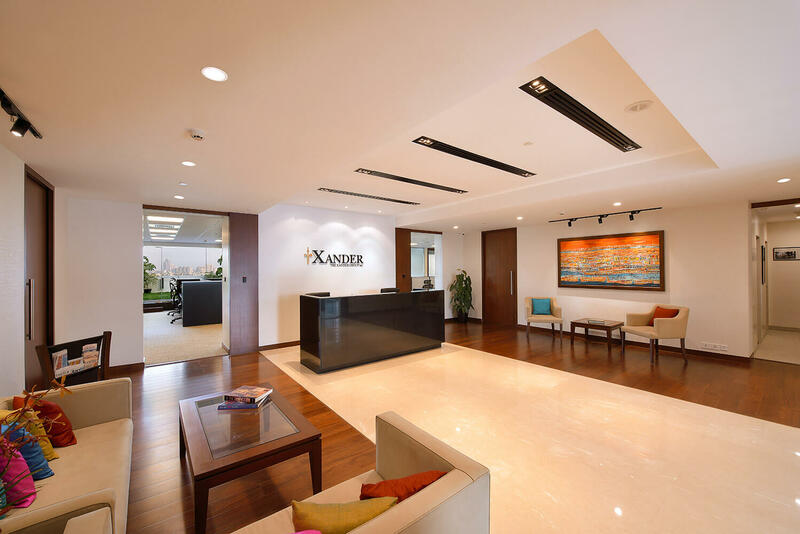 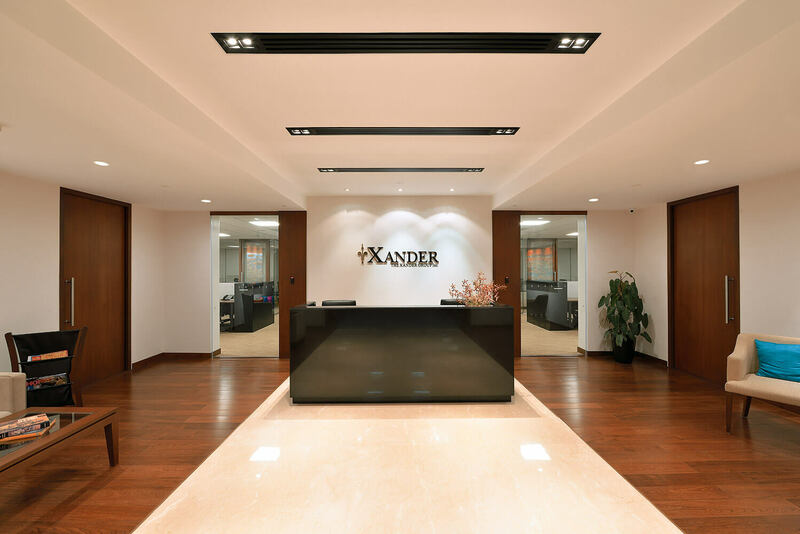 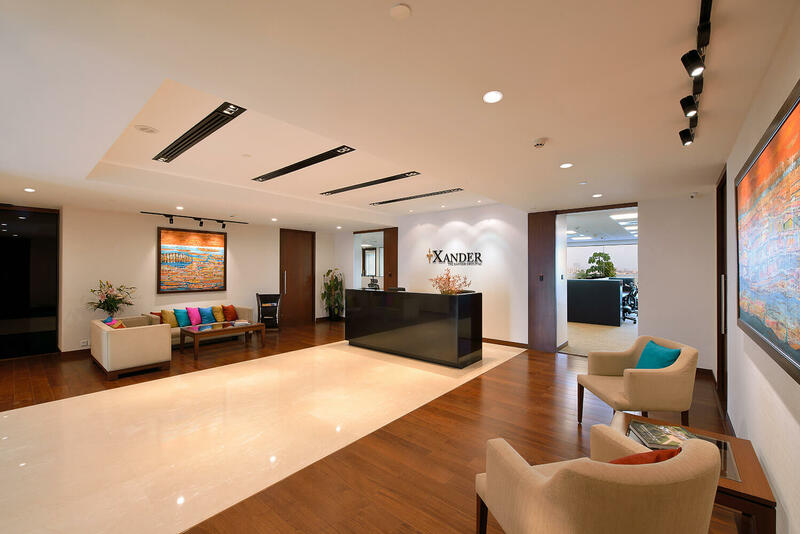 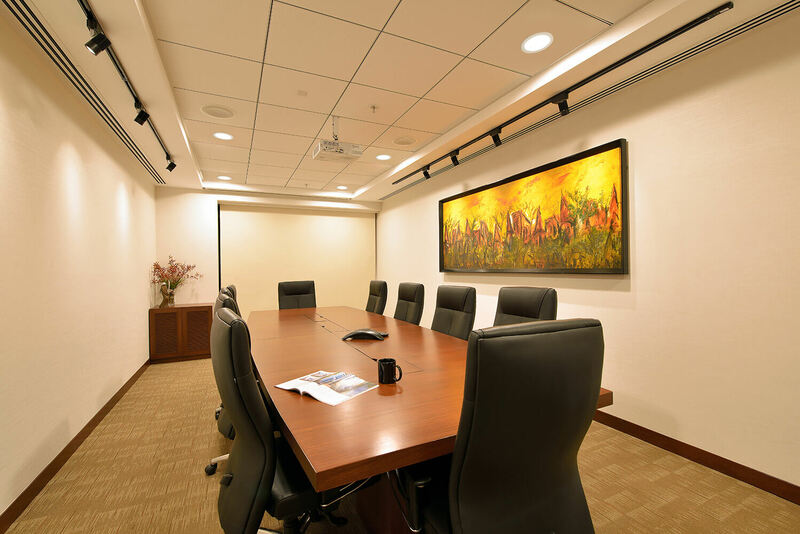 A predesigned indoor corporate space and an adjoining outdoor landscape area, open for innovation, was the design proposition and the basis for bringing about the Xander Group office space. 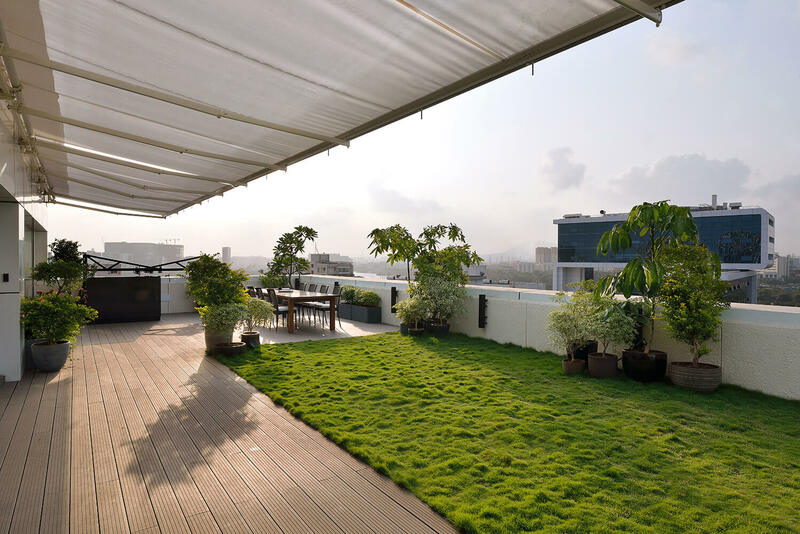 A significant factor here is uniting the two distinct spaces into one in an articulate fashion. 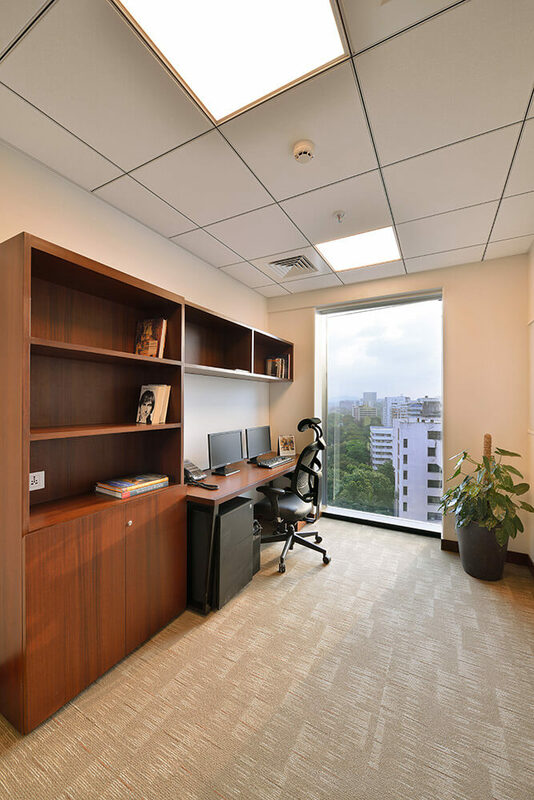 The office space is shared by two companies which called for the fabrication of a ‘Chinese Wall’, garnering privacy and the penetration of natural light. 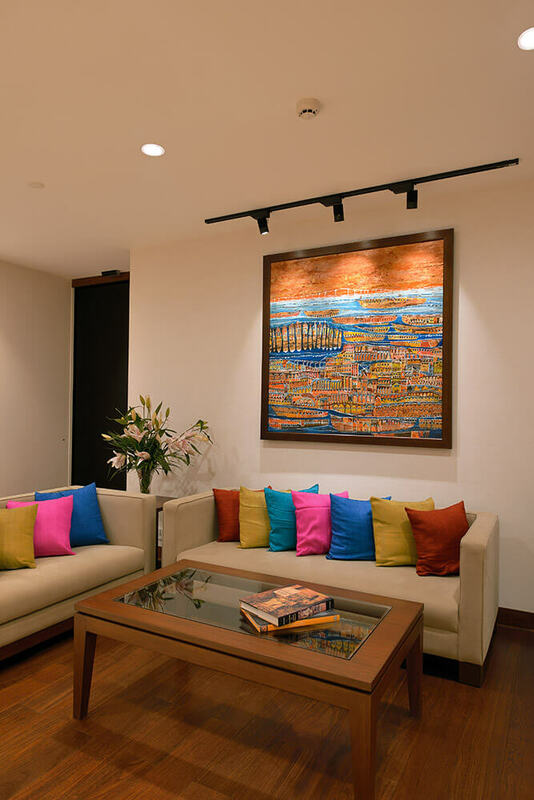 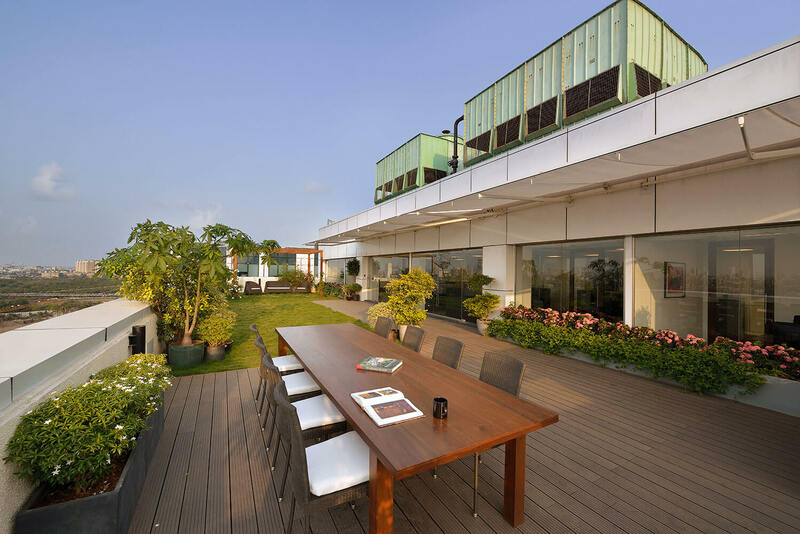 The quintessential was the affinity in the design style of the overseas design, and the execution of the same that brought forth this work of art. 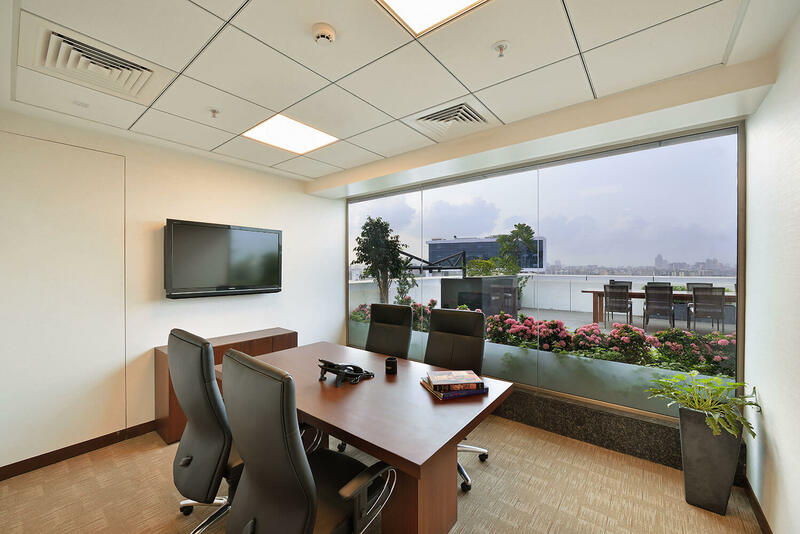 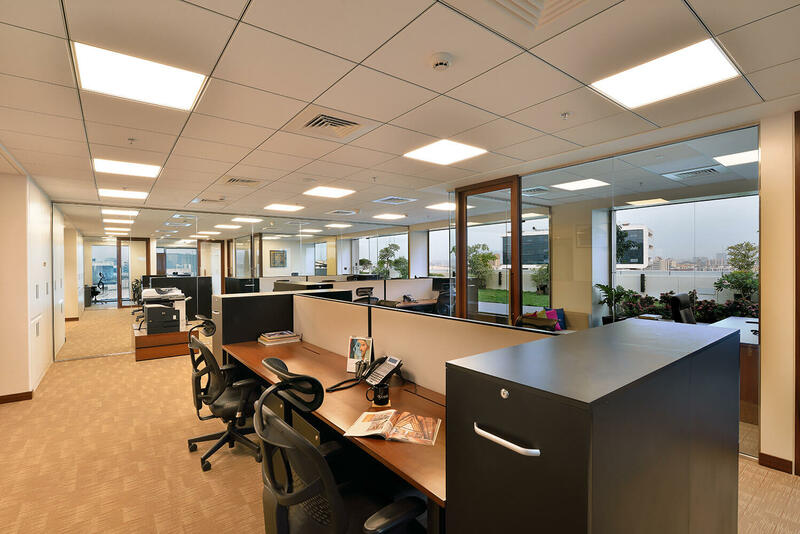 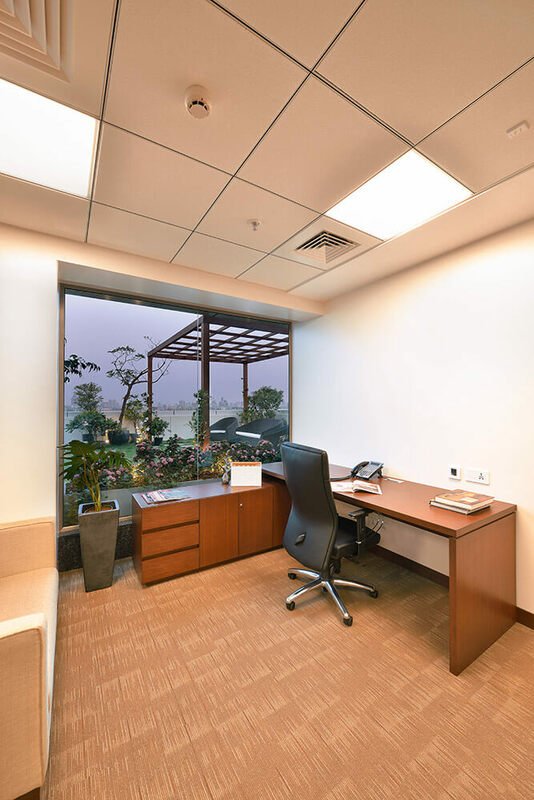 The harmony of the two coexisting work spaces culminates in the ground breaking terrace zone that scaffolds the breach between the enclosed office spaces and the unrestricted outdoors. 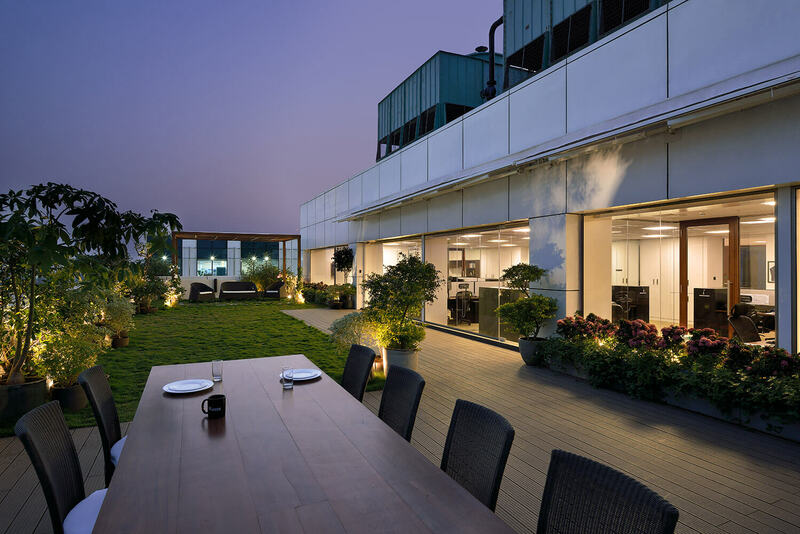 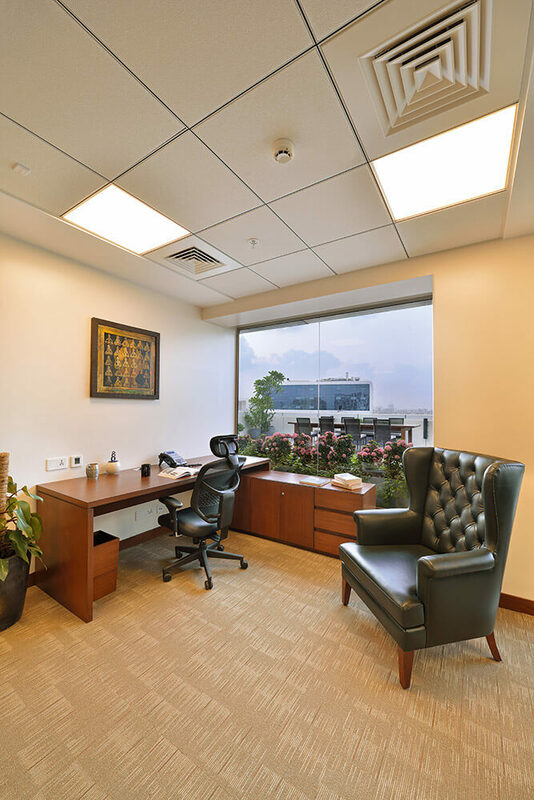 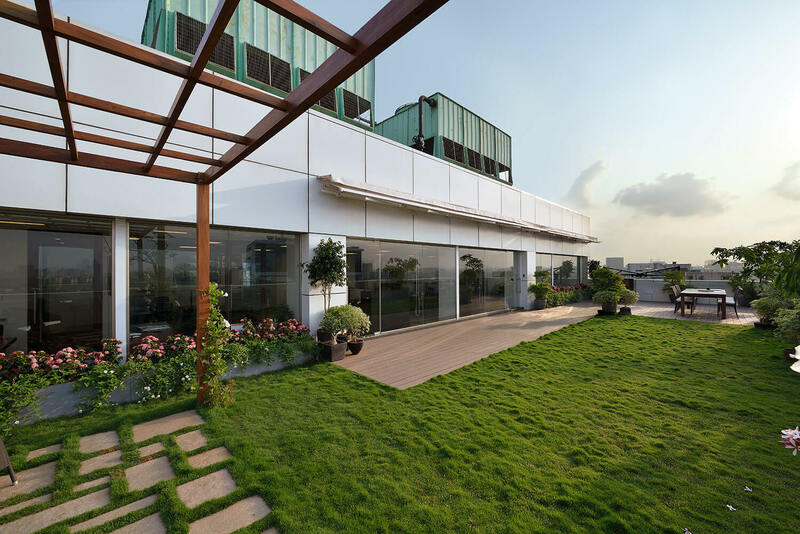 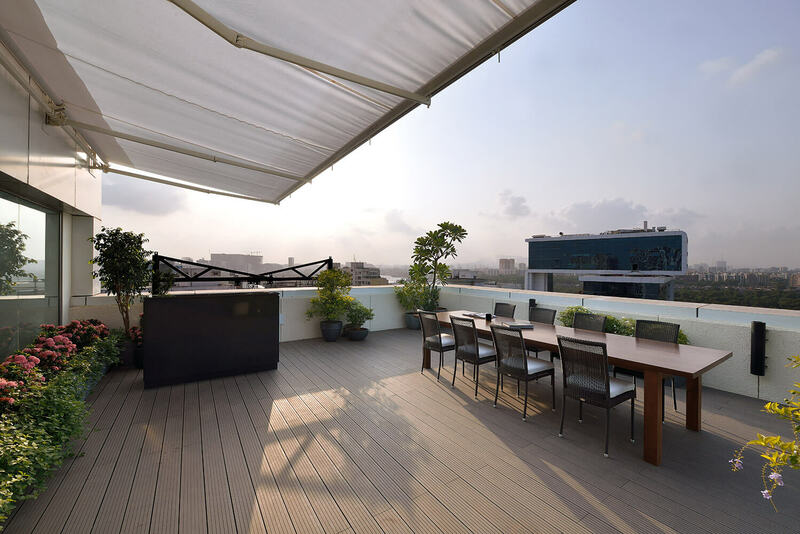 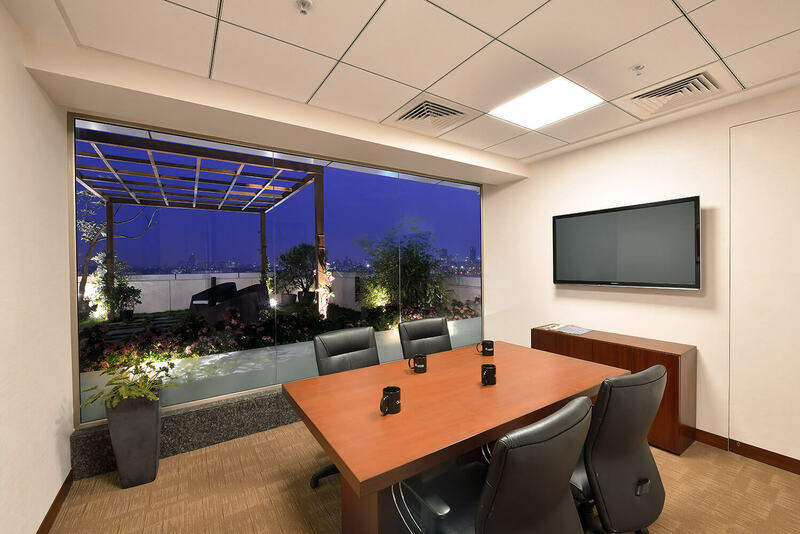 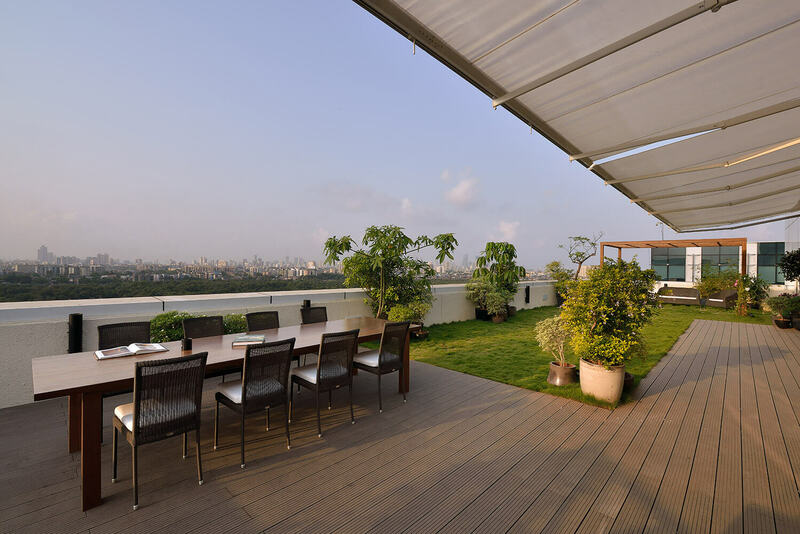 With the terrace vista gifted to almost every workspace, special attention has been given to landscaping and outdoor seating, complementing the cityscape of BKC Mumbai. 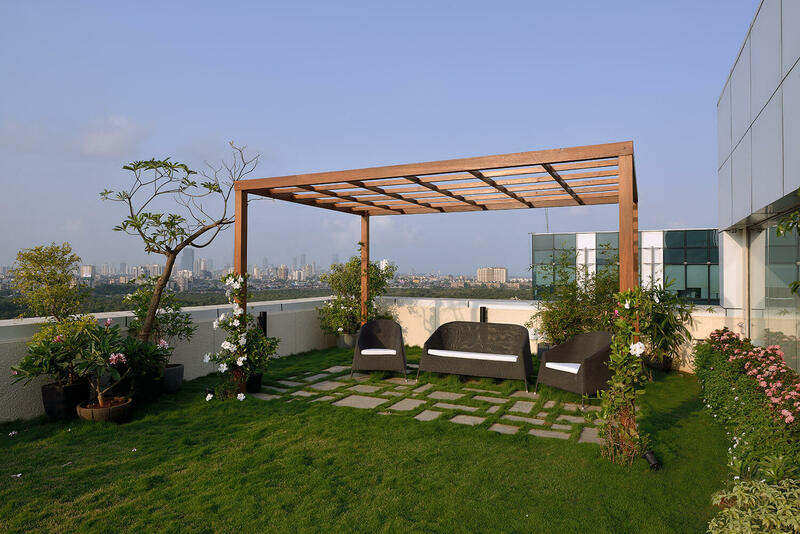 The interplay of wooden decking and natural lawn, together with stone paver blocks–the three forming an organic carpet to house the assorted flora, define the overall character of the alfresco and the core within.